Diagonal Size Choose an option32"37"40"42"46"50"52"55"60"65"70"74"80"90"100"
Recently released, our Enhanced Touch Foils take touch accuracy to the next level. 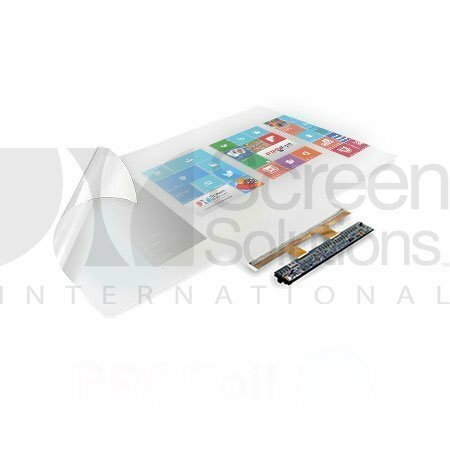 Enhanced touch foils feature over 8,000 individual sensors that double the resolution of a standard multi touch foil and quadruple that of a dual touch foil. 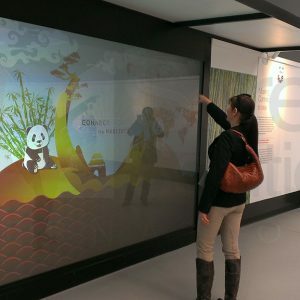 Our touch foil technology continues to work despite any water or other liquids contacting the viewing surface, and can function normally on horizontally curved surfaces. Projects that are on an above-average scale will benefit immensely from an enhanced touch foil. Having the highest level of precision tracking available will turn any project into a crisp, responsive experience with little to no effort. Choose the interactivity that works for you by selecting either a 20-point or 40-point foil. Screen Solutions International ships every enhanced touch foil order in a secure tube and/or box to ensure its safety no matter how far it is traveling. Each foil is carefully assembled and tested to ensure everything works perfectly upon installation. If you would like more information, you can contact us or visit our sister-site PROFoils.com. Each touchfoil is listed by its diagonal size according to a 16:9 aspect ratio. For specific measurements, please view the information below.